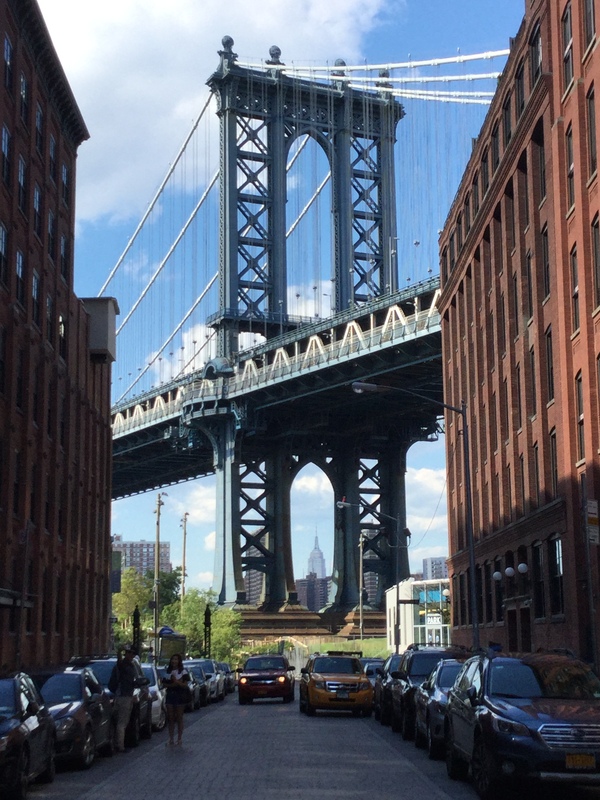 A taste of Brooklyn. – romi, kilo india delta. Sunday morning, one train, an incredible view, and a feast of flavors. Smorgasburg has been around for several years now, since 2011, when it started as a spin- off of Brooklyn Flea, the popular flea market founded in 2008. 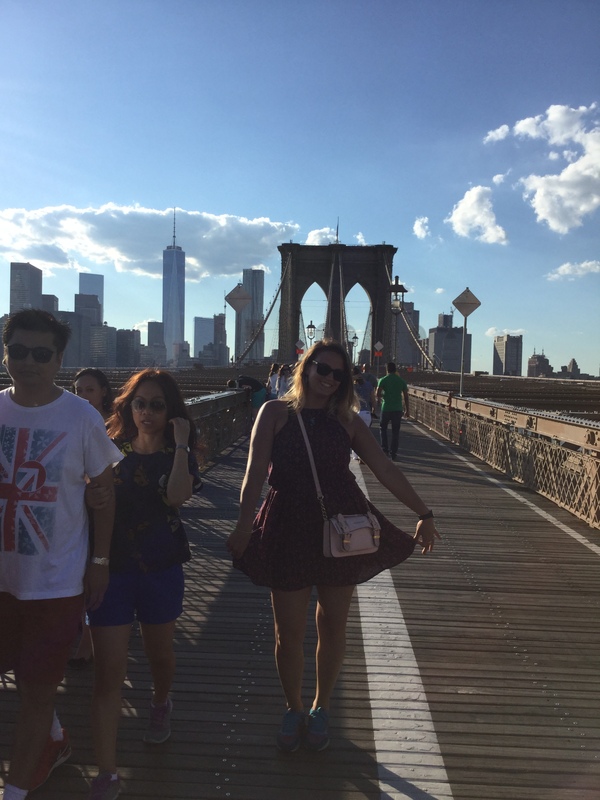 A classic in the summer weekend in New York, I couldn’t miss this paradise of food for nothing in the world. 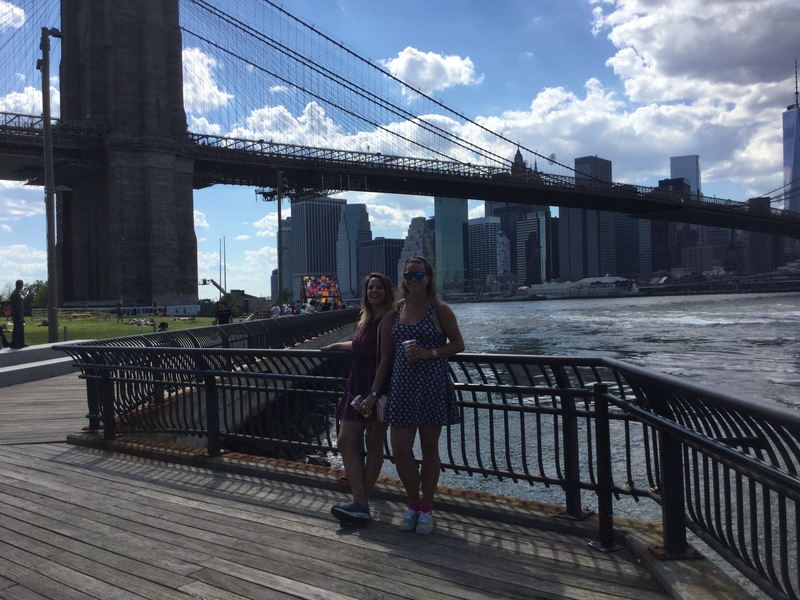 The delight is complete with an amazing view of the Manhattan skyline, the East River and both Brooklyn and Manhattan bridges. Around the world in a single stroll. Mexican, Ethiopian, Malayan, Indian, Thai and more. Many nations congregated by the love for unforgettable flavors. The many stands that can be found mix up their aromas in the most delightful way. 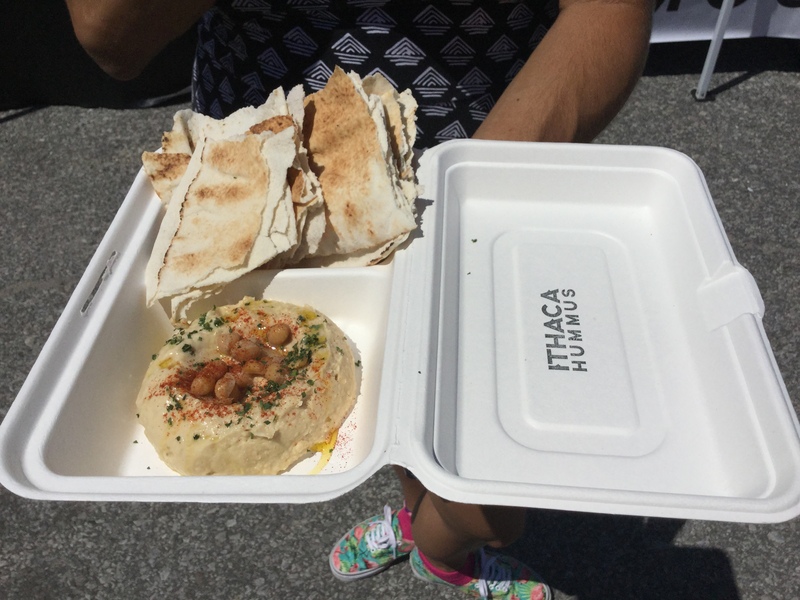 My first choice was a delicious hummus, with lemon and garlic. It was served with warm Pita bread. 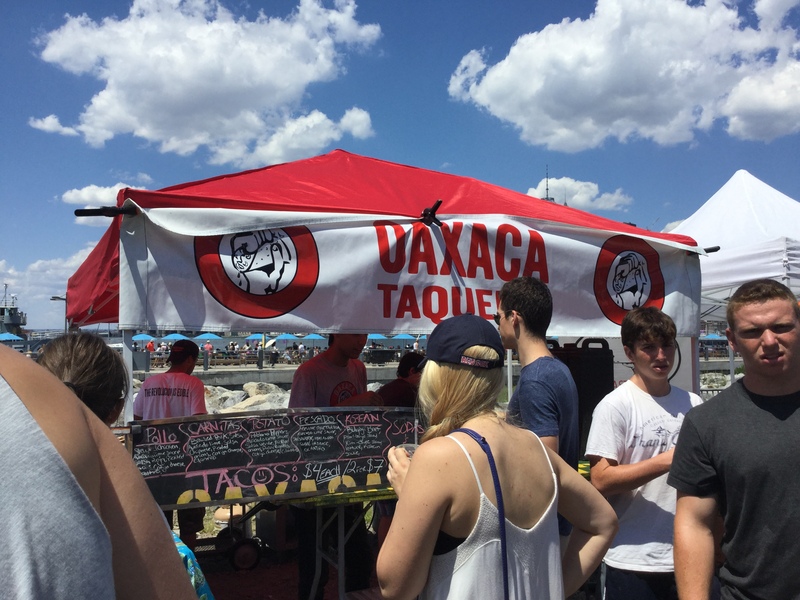 My second choice was the tacos made by Oaxaca taqueria. Ceviche and carnitas were the chosen flavors, and I was not disappointed. They were quite spicy, though. When something is warned as mild here, it means it’s hot for an Argentina. And when it’s marked as hot, it burns like hell itself. Luckily, I love spicy foods so without knowing, I was in for a treat. Above: Carnitas. Below: Ceviche. Overall: Delicious! Tina, instead, went for a classic. Fried shrimp and fried fish! It was served with the most creamy tartar sauce that I ended up stealing for my tacos. Ok, I love the spicy kick but I also enjoy a great balance with a creamy sauce. And after the feast, we took a stroll on the pier, and all around the promenade. It was incredible. 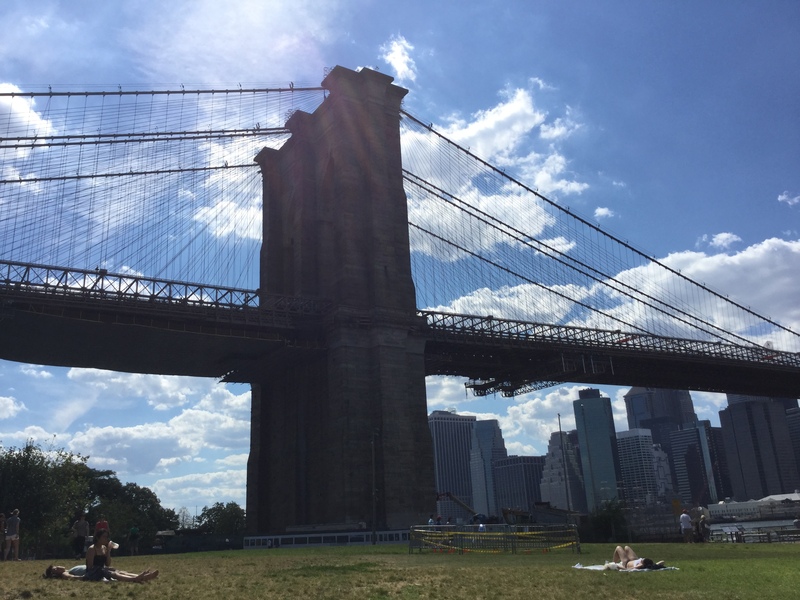 Here, some of the postcard-worthy views from a Sunday afternoon in Brooklyn. 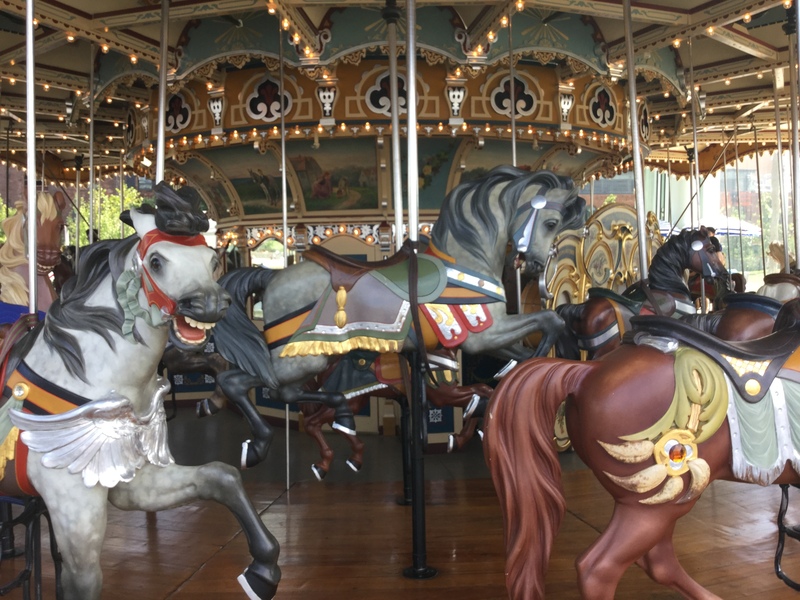 A scary horse in Jane’s Carousel, DUMBO. 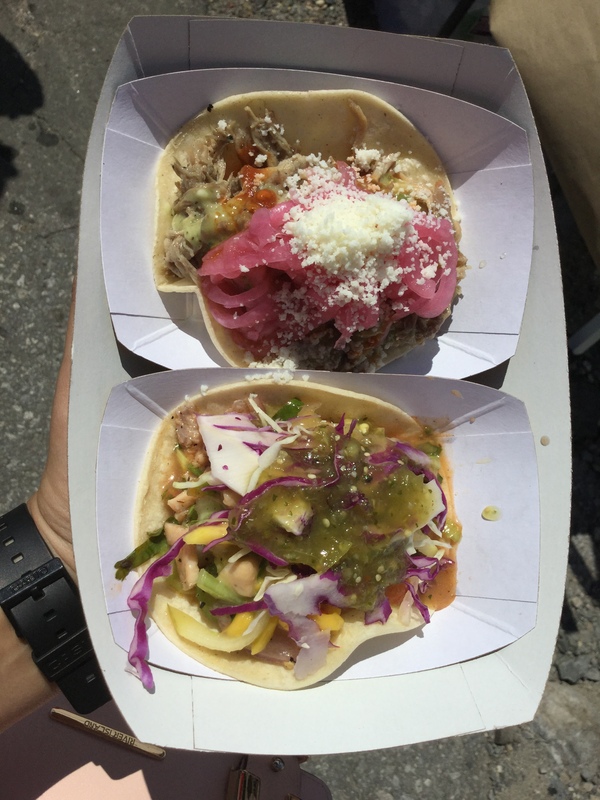 You can’t miss Smorgasburg in your next visit to NY. Don’t forget to check the schedules and locations, since they’re not really settled for good. Thanks for reading and being there on the other side 🙂 I’ll be back soon, so Stay Tuned to Kilo India Delta to read more about my adventures in the greatest city in the world. That’s me, bowing for you! Pingback: Back for a while. | romi, kilo india delta. Brominita! You look beautiful in these pictures. I’ve seen on Facebook that you’re back so I hope to see you soon. Waiting for more pictures and anecdotes. I miss you too! Let’s meet soon so I can tell you all about it… in person. Thanks for being there, sweetie! ← A weekend in NY.